Tom Cruise has a new public service announcement that he wants people to be fully aware of: he opposes the smoothing of motion on television sets. 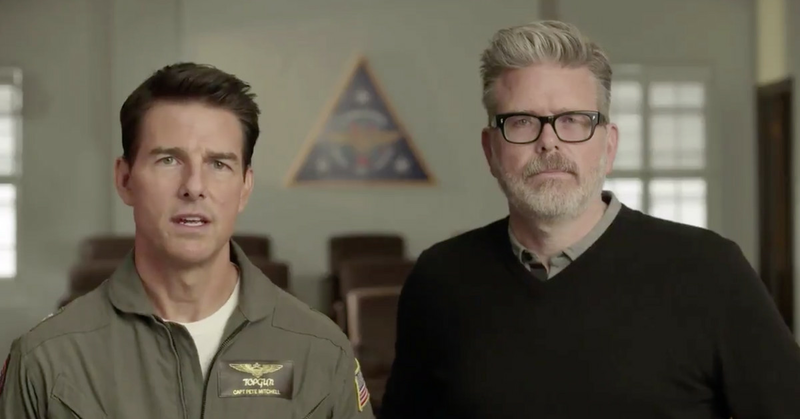 Cruise and Mission: Impossible – Fallout Director Christopher McQuarrie – reunited on the set of Top Gun: Maverick – appeared in a 90-second video that drew attention to the Smoothing the movement should, rather technically called interpolation or rather as a "soap opera effect". Cruise confirms in the video that "the unfortunate side effect" of motion smoothing technology is that it seems films are "more likely to shoot high-speed video" than film. Fallout was released on Blu-ray today, which is the reason for the timing of the announcement. Cruise starts the video with a smile, but sometimes gets pretty serious. Just listen to the indignation in his voice when he says, "By default, most HDTVs are already equipped with this feature and it complains about how manufacturers disguise their ability to opt-out. McQuarrie tells people they only need the answer to Google's TV. 1; but bad for most others. As the nickname suggests, the artificial smoothness can make a Hollywood blockbuster on a budget look like a soap opera by day. McQuarrie has in the past, along with other directors such as Johnson and Christopher Nolan also called motion smoothing technologies. "Many of you saw your work on TV screens and looked different than you actually finished them," the letter says. "Modern televisions have extraordinary technical capabilities, and it's important that we use these new technologies to make sure the home viewer sees our work as close as possible to our original creative intentions." TV makers are ready to To hear directors and the PSA points out that some can smooth the movement smoothing easier. In the meantime, Cruise and McQuarrie are on a crusade to raise awareness.